Church House Westminster invests in the future! 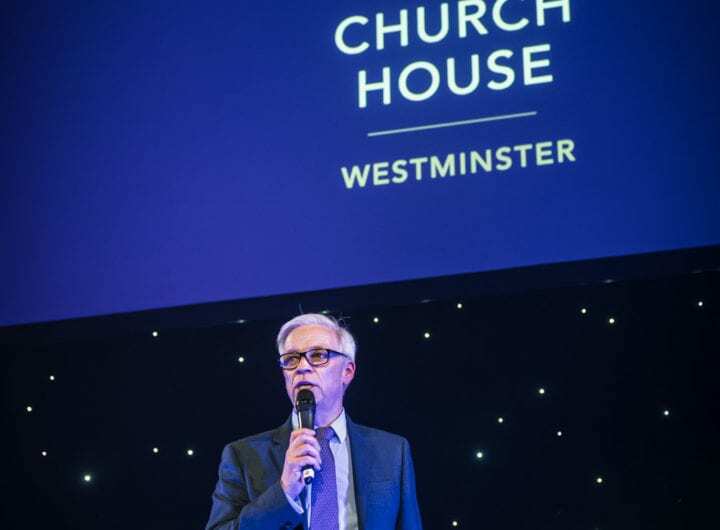 Church House Westminster has invested a further £330,000 in state-of-the-art AV services – installing 4K dual projection in its largest room, the Assembly Hall as well as upgrading its sound system. Installed in August, the new sound and projection system, which enables clients to choose from a range of high quality screen layouts, were used for the first time during The Art Business Conference on Thursday, 1 September. All projection is now in 16:9 widescreen format, in line with PowerPoint 2010 and beyond. The venue can also now provide 4K projection on a standard screen or up to 8k image on an ultra-wide screen. Clients can choose between a curved wide screen, an extra wide screen, a centre screen stage set or a dual screen stage set. The new investment opens up a whole new range of opportunities for Church House Westminster’s clients to enhance their content and delegate experience by delivering high quality images and video, and by providing them with the ability to project multiple images on screen at any one time. 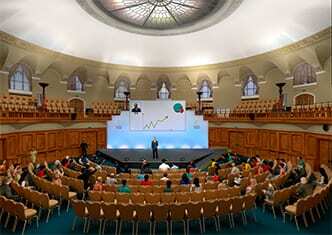 The new stage will also allow far more versatility and flexibility for the increasing range of events that are delivered at Church House Westminster. The venue has always invested in high specification equipment and infrastructure. Currently this includes high speed networked internet services via fibre and cat 6 cabling enabling delivery of video conferencing, and IPTV video relay. Church House Westminster also provides broadcast quality HD recording and streaming services and has an editing suite to produce professional videos. To find out more about Church House Westminster or to make a booking enquiry click here.